Christina is a seasoned designer with over 10 years of experience in multiple employment fields. 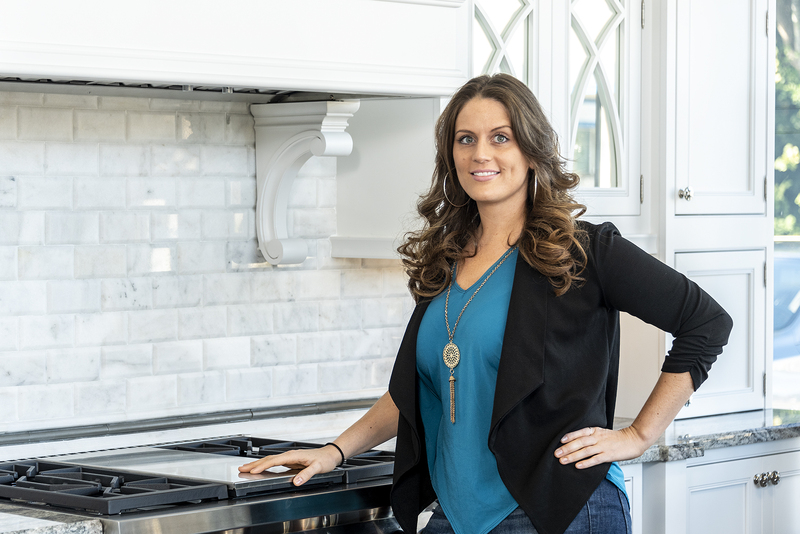 She started at a home improvement center where she became educated in all areas of remodeling such as cabinets, countertops, wood and tile flooring, lighting and décor. Discovering her passion for design, she ventured off to family-owned remodeling companies that enabled her to expand even further, gaining knowledge in the construction aspect of remodeling and allowing a more personal, hands on experience with customers through their projects. Here at S&W Kitchens, Christina’s focus is to create a functional, eye-appealing space catered to her clients needs. Understanding the importance of everyday use and maximizing the available space is her specialty. Her attention to detail and artistic vision provide for a unique experience. Listening to her client’s wants and needs, she strives for a healthy balance of beauty and practicality. Coming from a rather large family, Christina has very strong family values that are evident. She enjoys exploring new things, eating out and various sports activities depending on the season. In her spare time she will either be at the movie theaters or spending time with friends & family.